An overwhelming majority of Ukrainians are unenthusiastic about their region joining Russia, with an overall total of 88.3% saying a firm “nyet” to the idea, according to a new poll. Similar figures emerged when citizens were asked if they would like their region to be separated from the rest of Ukraine, but remain independent and not join Russia - only 2.6% said they wanted to see the independence of their region. 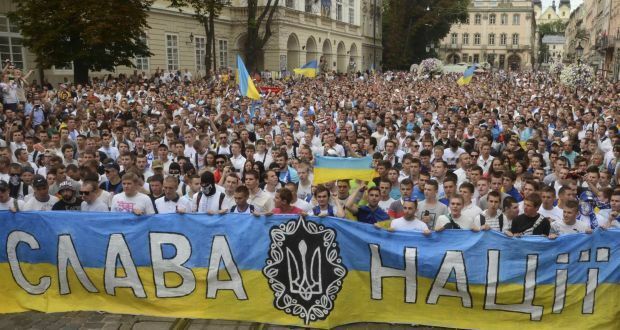 In Odesa, widely touted by Kremlin fans as a “native Russian” city, support for joining the motherland was a firm 0%, as it was in the southeastern city of Kherson. Patriotic feelings vary throughout the country, but there is a general trend of it lessening as one goes from west to east: while in the west support for an independent Ukraine is 94.0% and in the center 98.1%, in the south it is 93.3%, and in the east 81.5%. The study, entitled "The views and opinions of the population of Ukraine: December 2014" was carried out from December 4-19, 2014. The study comprised 3,035 interviews with adult residents of Ukraine who live in 179 settlements of Ukraine. In Luhansk and Donetsk regions the survey was conducted only on territory controlled by the Ukrainian authorities. The poll’s statistical sampling error does not exceed 1.8%.